Problems are everywhere. And, so are the solutions. In fact, sometimes the solution might be hiding in plain sight and we’re just oblivious to it. 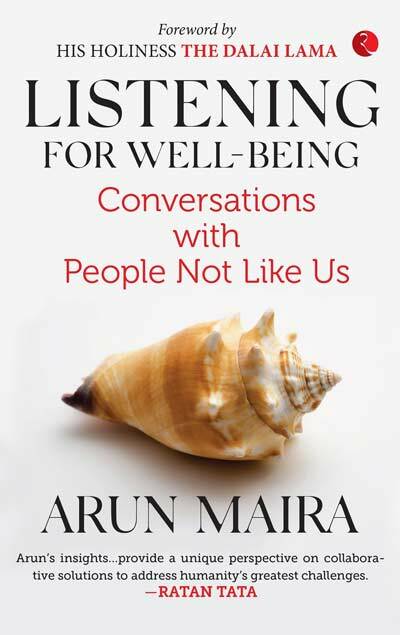 Arun Maira in his book ‘Listening For Well-being’ discusses how all kinds of problem—major or minor, our routine or personal problems or nation-wide issues—can be solved if we could listen more. After reading the book there’s one lesson that I am going to take home—listening is really a powerful tool capable of solving or even preventing a lot of problems. Well, if couples listened to each other all the time, do you think there would be much of a conflict between them? Anyhow, getting back to the book, Mr Arun Maira, who has held important positions throughout his life including his seat in the now-disbanded Planning Commission, has poured all his lifelong experiences into this one book to get us acquainted with this simple but powerful instrument of problem-solving. According to him, he was introduced to this concept of listening and it transformative power some 40 years ago. He shares an incident between Father Joe Curry and his manager at Telco. I wouldn’t go into the details of it, but it was then that the author witnessed the true power of listening and adopted it as a tool that he would use throughout his life. In our fast-paced life, while having no time to ourselves, we often forget to communicate with our associates and loved ones. Sometimes it is this lack of communication that results in a lot of problems. Arun tells about how at various stages of his life he was often with faced with a certain problem where he was able to come to a solution by listening to the people, and making them listen to each other. Through various encounters and experiences, it is proved time and again. The author understands that even a majority of socio-economic problems that India faces currently can be resolved if everyone began to listen properly, an art that is long-lost. With each chapter, he discusses different aspects of listening, including its influence and implications, and establishing the facts with statistics, his own experiences or world-wide events. What makes this book interesting is that though all this book teaches us is to listen, the author has used so many interesting facts and stories that we are forced to read on and be completely convinced with this lesson. Even though the book encroaches onto a lot of socio-economic and political aspects, even a reader who isn’t much involved in those subjects would be willing to carry on. The language and style is simple, yet fun at times, and authoritative at other times. Pace is great as well. Researched well. I need not comment on its relevance and resolution, as I completely believe that Listening is the greatest tool one can have to solve a problem.